Gina Haspel’s confirmation hearing for CIA director was never going to be a breeze. The CIA veteran oversaw the torture of a suspected al-Qaeda member at a “black site” in Thailand in 2002 and was later involved in the destruction of tapes documenting the interrogations. Lawmakers honed in on that time Wednesday, repeatedly asking Haspel about her involvement in the program, the morality of the techniques, and whether she would allow the agency to resume the use of such methods in the future. Richard Burr: Ms. Haspel, let’s dig right into it. There’s been much debate and much news coverage about Jose Rodriguez, the former director of the National Clandestine Service, and his decision to direct the destruction of the detainee-interrogation videotapes. Can you describe for the members your role in those events? Haspel: Senator, yes, I can. In 2005, I believe it was fall of 2005, I was chief of staff to the deputy director for operations, that is head of the clandestine service. The tape issue had lingered at CIA for a period of about three years. I believe the tapes were made in 2002, and over time there was a great deal of concern about the security risk posed to CIA officers who were depicted on the tapes. Those security issues centered on the threat from al-Qaeda should those tapes be irresponsibly leaked. Mr. Rodriguez, who was the DDO at the time, the deputy director for operations, has been very up front and has made it clear on a number of occasions publicly that he and he alone made the decision to destroy the tapes. I would also make it clear that I did not appear on the tapes, as has been mischaracterized in the press. … At the time the tapes were destroyed, Mr. Rodriguez asked me to prepare a cable because he was going to have another conversation with then-director of the agency to talk about this issue again. I did so. A couple of days later, he released the order, he believed, on his own authority. He took the decision himself and he said it was based on his own authority. Mark Warner: If you’re entrusted with this responsibility, I need to at least get a sense of what your moral code says about those kind of actions, because there is the potential that this president could ask you to do something. He obviously believes in these procedures, but even if he asked you to do something that is not directly related to detention and interrogation, if he asks you to do something that you believe is morally questionable, even if there isn’t an [Office of Legal Counsel] opinion that gives you a get-out-of-jail-free card, what will you do in that action when you are the director of the CIA? Haspel: Senator, my father’s watching today. He served 33 years in the Air Force. My parents gave me a very strong moral compass. I support the higher moral standard that this country has decided to hold itself to. I would never, ever take CIA back to an interrogation program. First of all, CIA follows the law. We followed the law then; we follow the law today. I support the law. I wouldn’t support a change in the law, but I’ll tell you this, I would not put CIA officers at risk by asking them to undertake risky, controversial activity again. Warner: If this president asked you to do something that you find morally objectionable, even if there is an OLC opinion, what will you do? Will you carry out that order or not? We’re entrusting you on a very different position if you’re confirmed. Haspel: Senator, my moral compass is strong. I would not allow CIA to undertake activity that I thought was immoral, even if it was technically legal. I would absolutely not permit it. Feinstein: You’re aware of what those tapes contained? Haspel: No, I never watched the tapes, but I understood that our officers’ faces were on them and that was very dangerous at a time when there were unauthorized disclosures that were exposing the program. Feinstein: But it also exposed how the program was conducted because there were tapes of the actual interrogation of certain—of 92 detainees as I understand it. Haspel: No, the tapes were recordings of only one detainee. It was 92 tapes of one detainee. Haspel: I’m very proud of the fact that we captured the perpetrator of 9/11, Khalid Sheikh Mohammed. I think we did extraordinary work. To me, the strategy is that the controversy surrounding the interrogation program, which as I’ve already indicated to Senator Warner, I fully understand that, but it has cast a shadow over what has been a major contribution to protecting this country. Susan Collins: Have your views of the program evolved in the years following the attacks on our country on 9/11? Haspel: Senator, they have. I think it’s very important, I think for any leader as you go through a career you have to learn the leadership lessons. I’m not going to sit here with the benefit of hindsight and judge the very good people who made hard decisions, who were running the agency in very extraordinary circumstances at the time, but as I mentioned to Senator Warner, this country has had the opportunity to reflect because we have some space, we are not fearing another attack, and we have deliberated about the standard we want to use in interrogations and that is the Army field manual. Martin Heinrich: What would you do if the president ordered you to get back in that business? Heinrich: That’s a yes or no. Haspel: —give him advice. I would not restart, under any circumstances, an interrogation program at CIA under any circumstances. Under any circumstances. Who’s Deciding What Is Classified? Angus King: Who is deciding what’s classified and what isn’t in terms of what’s released to this committee? King: So you are making the classification decisions about what materials should be released to this committee? Haspel: I am electing not to make an exception for myself, but I am adhering to existing RDI guidelines. Kamala Harris: So one question I have not heard you answer is, do you believe that the previous interrogation techniques were immoral? Harris: It’s a yes or no answer. Do you believe the previous interrogation techniques were immoral? I’m not asking do you believe they were legal; I’m asking do you believe they were immoral? Harris: It’s a yes or no answer. 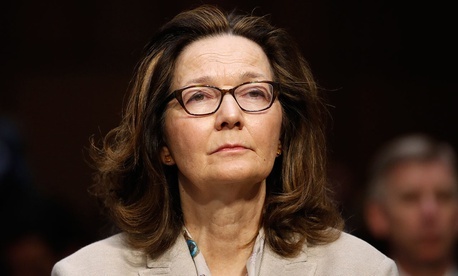 Haspel: —did extraordinary work to prevent another attack on this country given the legal tools we were asked to use. Harris: Please answer yes or no. Do you believe in hindsight that those techniques were immoral? Haspel: Senator, what I believe sitting here today is that I support the higher moral standard we have decided to hold ourselves to. Harris: Can you please answer the question? Haspel: Senator, I think I’ve answered the request, the question. Harris: No, you have not. Do you believe the previous techniques, now armed with hindsight, do you believe they were immoral? Yes or no? Haspel: Senator, I believe that we should hold ourselves to the moral standard outlined in the Army field manual. Harris: Okay, so I understand that you have not answered the question, but I’m going to move on. Jack Reed: If you were ever approached by the president and asked for a personal pledge of loyalty, what would you respond? Haspel: Senator, my only loyalty is to the American people and the Constitution of the United States. I am honor-bound and will work very hard to deliver to this president and his administration the best performance intelligence CIA can deliver. Reed: And if you were approached in such a way and such a demand was made of you, would you inform this committee and the Congress that you had been so approached? Haspel: Senator, I’ve worked very closely with this president, I don’t—I don’t believe that such a circumstance would ever occur. CIA has been treated with enormous respect and our expertise is valued for what we bring to the table. Reed: If it occurred, would you inform the committee? Haspel: Senator, it’s a hypothetical. I don’t think it’s going to occur. I’m very confident about that. Reed: It does not seem to be a hypothetical. People have alleged that that has happened already. Haspel: Senator, I don’t know anything about that conversation. Mark Warner: Thank you, Mr. Chairman. First of all, I want to submit for the record, to refresh my colleagues’ memories, the testimony of then-nominee John Brennan, who quite explicitly repudiated the EIT techniques and programs, who expressed—who stated he expressed his personal objections and some of his views to agency colleagues, which I think is a relevant piece of information when we considered Mr. Brennan’s testimony for those of us who decided to vote in favor of it. Cotton: That would be the same Mr. Brennan who supports her nomination. Richard Burr: Senator will suspend. Cotton: John Brennan supports her nomination.